"I'll see this city reduced to rubble ... with not even two bricks still together ... before I let your kind take root here." Dume is a Turaga of Fire. He was formerly a Toa of Fire who commanded his own Toa Team, before becoming a Turaga and the leader of Metru Nui. After Jaller became angry with the Turaga due to their refusal to tell the Matoran where the Toa Nuva had gone and Nokama later informed the Ta-Matoran of what had happened, Dume grew furious, going so far as to say Nokama betrayed them by revealing to Jaller what the Turaga had learned. He also refused to send Takanuva after the Toa Nuva, claiming that it was his destiny to defend the city. Takanuva directly disobeyed his orders, and journeyed with Jaller and his crew of Matoran, though he later returned. [BL2] Dume promised to consider sending Takanuva after the Toa Nuva and Jaller's team, the latter having already returned to defend the city. 8621 Turaga Dume & Nivawk was released in 2004 portraying him in his Turaga form along with Nivawk, using twenty-three of the sets 179 pieces. 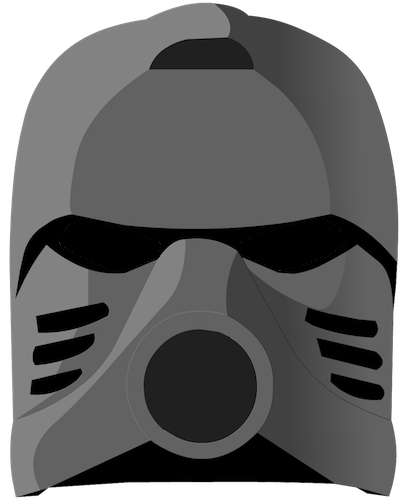 A section of the Nivawk's armor could hold the Turaga Dume figure. Dume's & Nivawk's parts were also part of 10202 Ultimate Dume, Teridax's form in the climax of the 2004 story. "Sometimes, the ways of Mata Nui are a mystery indeed." "I didn't spend the last thousand years playing with puzzle stones or making a dictionary of chutespeak, Lewa." "Today, we honor Mata Nui, who has at last returned to us from the darkness into which he was cast by the evil Makuta. And we honor the Toa Nuva, who awakened the Great Spirit once more... and all the Toa, living and dead, who helped bring about this glorious day." Turaga Dume was voiced by Gerard Plunkett in Legends of Metru Nui. This page was last edited on 17 February 2019, at 19:45.